We've all heard the saying "the squeaky wheel gets the grease" alluding to those who speak up are more likely to get what they want. 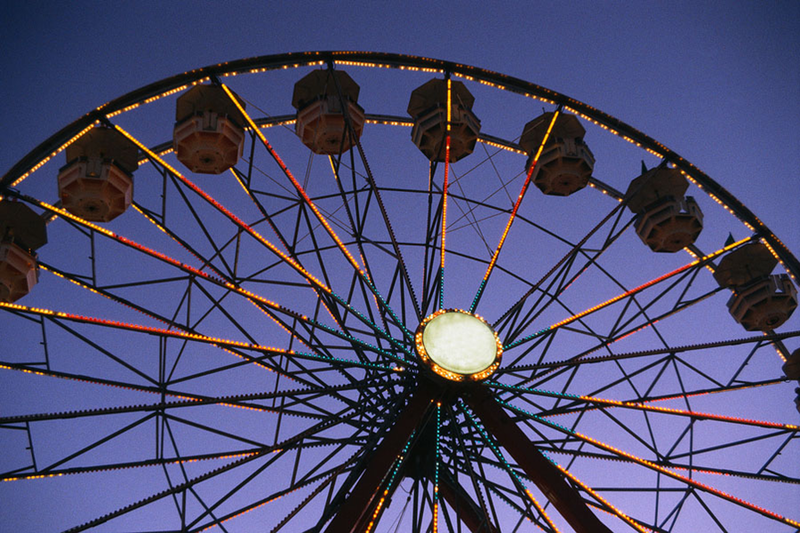 In general, the squeaky wheel tends to get more attention but when it comes to a classroom setting, that darn wheel can certainly upset the apple cart. In the course of training, you may begin to identify two squeaky wheels - the Nerd and the Insecure. You may question why your training nerd is even taking the class. After all, they seem to already know everything the course covers. This trainee can often become a squeaky wheel in a negative way if you find them correcting you or leading the class off-topic by bringing up out-of-scope questions. The first step to mitigating the squeakiness of the Nerd is to understand why he is there. Perhaps he is there for a refresher - to make sure he is still current - or maybe the class was mandatory. Whatever the reason may be, knowing it is your best defense. The second step is to lead questions or comments back to the main focus of the class. If a question is asked that is out of scope, you may want to answer like this: "That's a good question but it is more advanced than the content of this class will cover. I'd be happy to stay and go over that with you and anyone else that is interested after this class." This response acknowledges the question and promises an answer without taking up valuable class time. Variations of this response will depend on the question asked and the material covered in the training. On the opposite end of the spectrum is a squeaky wheel who asks questions because help is truly needed. The insecure trainee has most likely come to class without the proper foundation and, as a result, asks basic questions which slow down the rhythm of class. It can be frustrating having to take time to answer these questions but, just like the Nerd, understanding why the Insecure is there is the first step to resolving the problem. The good news is that the training topic must have appealed to your squeaky wheel, the bad news is now you are stuck with them. But that's not so bad - the more the merrier, right? The second step is to take note of what questions are being asked and determine what other training this person may benefit from. If you have the ability to schedule one-on-one time with your squeaky wheel, you can prepare her for future trainings that will require the same basic skills. Neither of these steps help you during the course of you class, though. For that, we need a step three. For both the Insecure and the Nerd, step three requires pairing these two squeaky wheels together. Doing this may mean having to go off script of your training, but the benefits will be great. As a result, the Insecure will begin directing most questions to their more experienced partner and the Nerd will most likely feel validated through helping their coworker. Putting the two squeaky wheels together may not solve all your training problems but it certainly will alleviate some of the stress. For the most part, I've seen great results by following this three step process. But what about you? How would you handle a squeaky wheel? When planning training sessions the first thing that should be considered is the learner. Designing the training from the learner's perspective is ideal for maximizing retention rates. But often times, what is ideal for the learner can often be met with limitations - budgeting, scheduling, and time constraints to name a few. Utilizing the technology available for online training and discussions has been quite helpful for trainers who are working within real limitations. But at what cost? Libraries have been heralded as a go-to source for those needing digital resources and instructions. There is a percentage of library staff, however, who are unfamiliar with the technology themselves. Just as we find ourselves holding the hands of our customers as they create an email account for the first time, the same regard should be given to our library staff. Before jumping on board with online training, we must first make sure our staff are on board with the technology involved. Take, for instance, the growing popularity of eBooks. This is the perfect example of a new technology which appeals to everyone but for some must be taught in a hands-on way. Many people who would like to take advantage of an eReader are not fully equipped with the digital literacy skills to download a library eBook. Not possessing the skills should never be a barrier. The same scenario is true for library staff who may not own a device but are expected to teach customers how to use theirs. For this, teaching staff in a hands-on environment with consistent follow-up is the only way. Who is my target audience? Age, gender and ethnicity can have a lot to do with how you plan your training. It can affect your tone, word choice, and overall demeanor. What skills do they already possess? Lacking? Knowing what the learners will bring to your training will give you a starting point. If there is a wide gap in skills, you may consider breaking the group into two sessions or create your training based on the least skilled learner. What is the format most suitable for the content? If the content is learning a new skill, then a hands on approach may be best. If the content is learning a new policy or guideline, a group discussion or role playing may be needed. Asking these questions before preparing your training will save you from doing the same thing every time. It will also help you get the most while still working within your limitations. Ask yourself the previous questions first, and then scale back depending on what is feasible. You can see a list of training types in a previous post All Trainings Are Not Created Equally . Staff: (scanning library card) Hello, how can I help you Mr. Johnson? Customer: I need to renew two items. Staff: Okay, I can help you with that. (renews items) Will that be all for you today, Mr. Johnson? Staff: You're welcome. Have a nice day. With any name comes a certain amount of unknown. Even the most simple looking name can have the most complicated of pronunciations. Rather than subject yourself to embarrassment if/when you pronounce a name wrong, why not avoid using names at all. You may ask yourself 'can I just skip over the names too difficult to say?' You could, but that's not being very consistent and I wouldn't be surprised if someone eventually called you out on it. After all, service should be consistent for every customer and if using a name is the benchmark for excellent customer service then we may all be doomed. If you are not deterred by unpronounceable names, allow me to present to you the plea of the young. Just as seen in my example, you will more than likely be using the surname only. For example, if the person in front of you is named Jane Smith, you would certainly not refer to her by Jane. Instead, you would use formal speech and address her as Ms. Smith. Unlike companies who only deal with adults, libraries cater to people of all ages. That being said, you certainly wouldn't address a 5 year old as Ms. or Mr. (unless referring to them as Ms. Smartypants, etc.) And how about a 16 year old? That is questionable as well. Even many 20 somethings cringe at the thought of being referred to as Ms. or Mr. - a sign their youth is fleeting. Assuming that we are using formalities with some customers and not with others, at what point do you start addressing the person by their surname? 16? 18? 30? 60? Perhaps the age is not important, but consistency is. Because a name is so personal, it has the potential to incite many reactions when used. Customer service rationale would dictate that a person should be treated not as a number but as an individual. But maybe we are blinded by this notion so that we do not recognize when a person WANTS to be a number and to be invisible. When a library card is scanned, staff are given access to private information. Referring to a customer by his/her name because you know it and for the pretense of customer service can quickly shatter the illusion of privacy. As a customer, I am often taken aback when an associate uses my name because, after all, they don't know me. And I suspect that many other people feel the same. Perhaps as digital identities progress and people become expectant of being identified regularly (much as celebrities already are,) the use of a name may not carry so much weight. While this may be our future, I am in no hurry to see it become the present.